Through hard work and thrift, Alexander Easson rose from the poverty of handloom weaving to the ownership of four linen manufacturing mills. He was heavily involved in public life and on retirement invested in property development in the city centre. Subscriber 38 – William Lindsay Boase who was in partnership with Alex Easson in the spinning & twine manufacturing factory at Johnshaven. Alexander Easson built up a very successful business in manufacturing linen. He was also very active in public affairs and a staunch supporter and lay preacher in the Old Scotch Independent Church. Alexander Easson was involved in public affairs for over 17 years until his resignation from the Town Council in 1849. His strongly held views and somewhat preachy style did not always endear him either to his fellow councillors or to the voters. 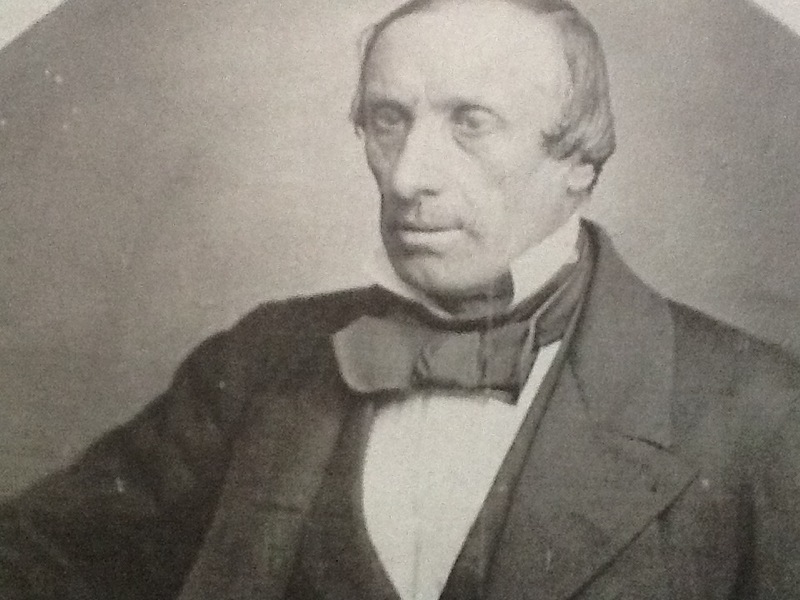 As a consequence, he never attained high office although, in 1856, he stood as candidate for Lord Provost. He subsequently withdrew his candidature – probably as a result of adverse press comment. He retired from business in 1869 when steam power superseded hand labour. He then invested a large part of his money in property, erecting the elegant range of offices next to the Royal Exchange Buildings, subsequently purchased by the Chamber of Commerce. His extensive block in Euclid Street and Euclid Crescent were acquired by Miss Harris for the erection of the Girls High School. Many thanks to the Staff at History Dept Central Library and Burials Dept. The information above about Alexander Easson has been collated from a range of digital and hard copy sources. To the best of our knowledge it is correct but if you are relying on any information from our website for the purpose of your own research we would advise you to follow up the sources to your own satisfaction. If you are aware of an inaccuracy in our text please do not hesitate to notify us through our Contact page.